Sixpence For Your Shoe: White Carpet Experience at the White Dress by the Shore! White Carpet Experience at the White Dress by the Shore! One of our favorite bridal salons in Connecticut, The White Dress by the Shore, has just begun offering an entirely unique experience, "White Carpet Appointments" for brides, maids and moms. As if gown shopping at Beth's salon could not get any better, it just has! 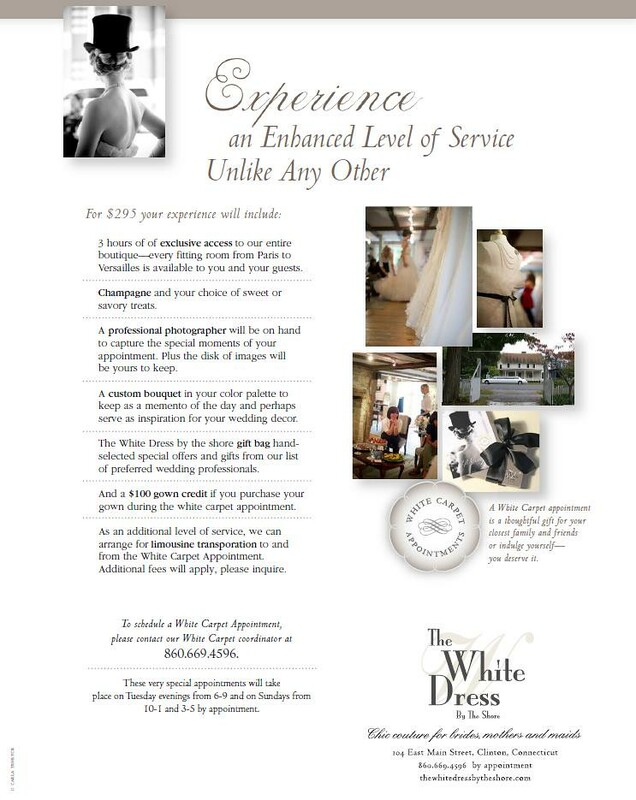 Call to schedule your appointment with the lovely ladies at The White Dress by the Shore!